Surekha Sikri or Surekha Sikri Rege is an Indian film, theatre and television actress. 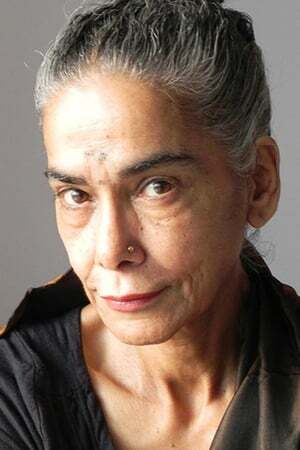 A veteran of Hindi theatre, she made her debut in the 1978 political drama film Kissa Kursi Ka, and went on to play supporting roles in numerous Hindi and Malayalam films, as well as in Indian soap operas.Sikri has (twice) won the National Film Award for Best Supporting Actress, for her role in Tamas (1988) and Mammo (1995). She was awarded the Indian Telly Award for Best Actress in a Negative Role in 2008 for her work in the primetime soap opera Balika Vadhu, and for the same show won the Indian Telly Award for Best Actress in a Supporting Role in 2011. In addition, she won the Sangeet Natak Akademi Award in 1989 for her contributions towards Hindi theatre.